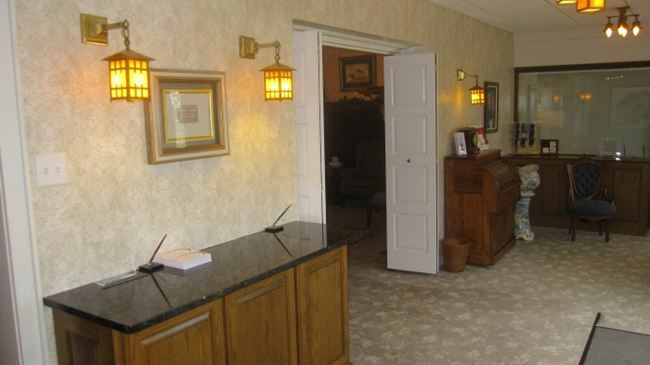 We are very proud of our facilities here at King-Lynk Funeral Home & Crematory. 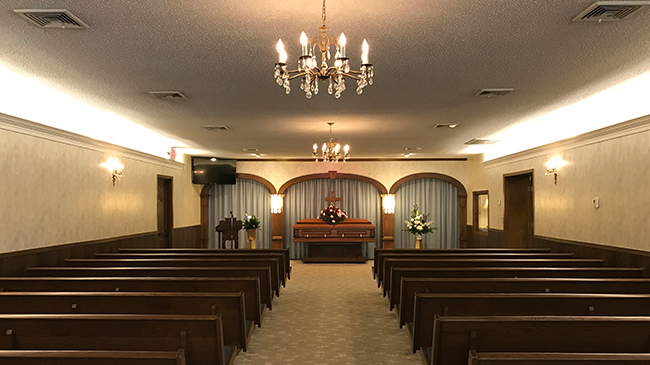 We offer plenty of space for the largest visitations and funerals, and also offer a second smaller chapel with plenty of architectural details so that our families feel at home, no matter what size of group they expect. 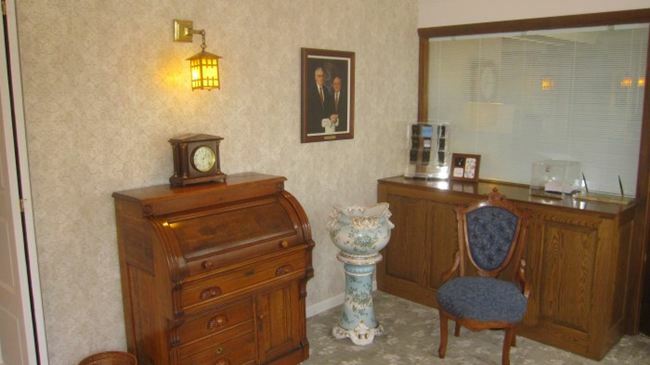 King-Lynk Funeral Home & Crematory has a spacious foyer and arrangement room complete with plenty of period antiques that have been collected over the last 50 years by our family. 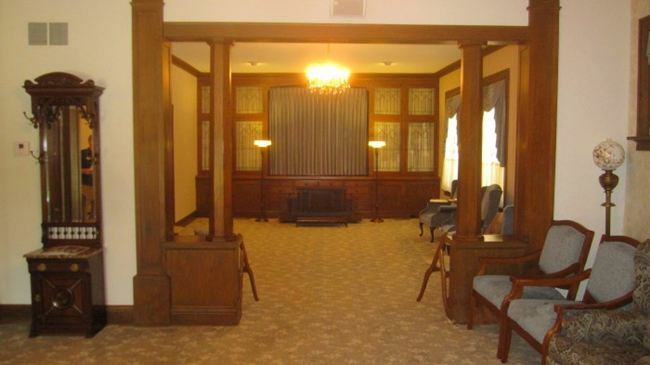 We also offer a space for the families of the deceased to be alone and rest adjacent to both chapels. 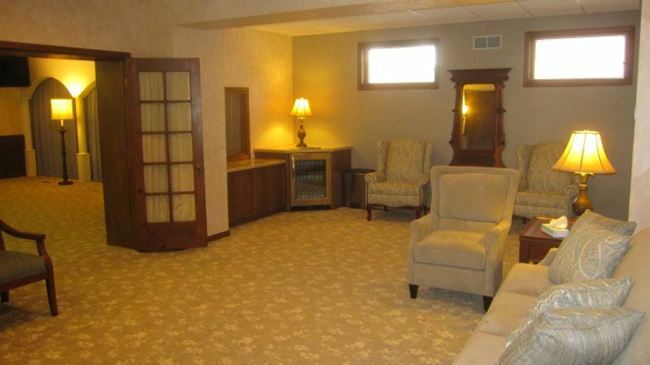 This "family room" is also a place for children to be themselves without disturbing their parents. 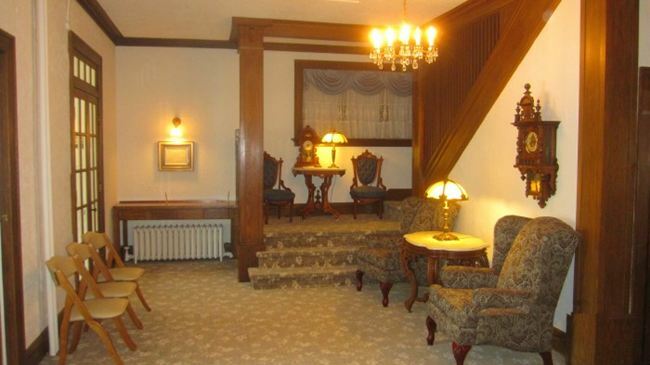 We also feature a very large parking lot for your guests to use. It stretches around two sides of the building and is kept very clean in our Iowa winters. There is no need for your guests to park on the street or in other parking areas quite some distance from the building. 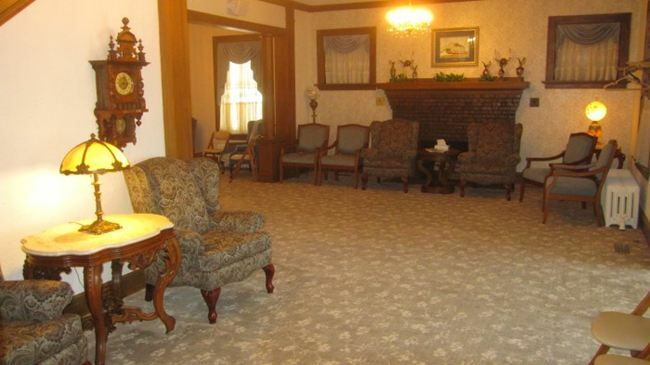 Cleanliness and up to date facilities are hallmarks of King-Lynk Funeral Home & Crematory.